EFSA Findings : Glyphosate by itself doesn’t cause cancer. But products like Monsanto’s Roundup, which contain glyphosate and other additives are another story. Last week, while we waited for the U.S. Environmental Protection Agency (EPA) to announce whether or not the agency will give Monsanto’s Roundup a free pass by green lighting the use of glyphosate for another 15 years, the EPA’s counterpart in the EU made its own big announcement. Glyphosate is “unlikely to cause cancer” said the authors of the new report by the European Union Food Safety Authority (EFSA). Sustainable Pulse (SP), publisher of global news on GMOs and other food-related issues, quickly reported the glaring omission made by the majority of news sources reporting on EFSA’s findings. According to SP, what EFSA really concluded is this: Glyphosate by itself doesn’t cause cancer. But products like Monsanto’s Roundup, which contain glyphosate and other additives and chemicals that are essential to making the herbicide work? That’s another, or in this case, the rest of the story. Feds keeping us in the dark : 11 co-ops “are either on a corrective action plan or enhanced oversight. More than $900 million of the original $2 billion in loans has been lost. Fury towards Erdogan intensifies after Ankara attack. Thousands rally. Ankara (AFP) – Thousands of mourners filled the streets of Ankara Sunday and vented their anger at President Recep Tayyip Erdogan after 97 people were killed in the country’s worst-ever terror attack, while the government raced to identify the two male suicide bombers it blamed for the bloodshed. Flags flew at half-mast across Turkey on the first of three days of national mourning declared by Prime Minister Ahmet Davutoglu, as questions grew over who could have ordered Saturday’s bombings on a peace rally in Ankara. Turkey’s pro-Kurdish Peoples’ Democratic Party (HDP), one of the groups that had organised the rally, said it believes the death toll now stands at 128. With the country on edge, Erdogan issued a statement condemning the “heinous” bombings and cancelled a planned visit to Turkmenistan but he has yet to speak in public since the attack that shocked the nation. On Sunday, thousands of demonstrators thronged central Ankara’s Sihhiye Square, close to the blast site by the city’s main train station, to pay tribute to the victims. “I am a mother, I’m worried about my grandchildren, I am marching for our children, for our future. Each time there are people dead, I also die a little,” said Zahide, who like many others carried a pink carnation flower to commemorate the victims. The premier’s office said 97 people were killed when the bombs exploded just after 10:00 am (0700 GMT) as leftist and pro-Kurdish activists assembled for the rally. In an emotional address to the mourners in Ankara, the HDP’s leader Selahattin Demirtas said that rather than seeking revenge people should aim to end Erdogan’s rule, starting with the upcoming legislative elections. 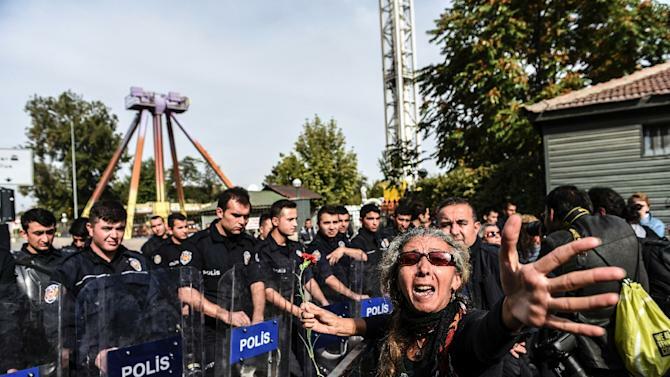 Ankara (AFP) – Anger towards President Recep Tayyip Erdogan over Turkey’s worst-ever terrorist attack intensified as authorities raced to identify the two male suicide bombers it blamed for the bloodshed. The streets of Ankara filled with anti-government and pro-Kurdish protesters accusing the government of responsibility for the blast that ripped through a peace rally a day earlier, with several shouting “Erdogan murderer” and “government resign!”In Istanbul on Saturday, a 10,000-strong crowd accused the government of failing to protect citizens by providing security for the event, carrying placards reading “the state is a killer” and “we know the murderers”. As tributes poured in from world leaders, Selahattin Demirtas, leader of the Peoples’ Democratic Party (HDP), was cited as saying “State attacked the people. Condolences recipient should be the people not Erdogan” on the party’s Twitter account. In an emotional address to mourners in Ankara, Demirtas said that citizens should aim to end Erdogan’s rule, starting with the upcoming legislative elections. 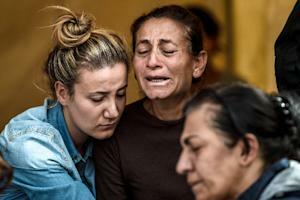 The party believes the death toll now stands at 128, higher than the 97 people the prime minister’s office said were killed when the bombs exploded on Saturday morning as leftist and pro-Kurdish activists assembled by the city’s main train station. The official toll also said 507 people were wounded, with 160 still in hospital and 65 in intensive care in 19 hospitals. All fifty states have adopted FOIA statutes. As the FOIA approaches its 50th year, it faces a disturbing backlash from scientists tied to the agrichemical company Monsanto and its allies. Here are some examples. Advocates with the venerable Union of Concerned Scientists (UCS) do worry that the FOIA can be abused to harass scientists for ideological reasons. This is true; for example, human-caused global warming deniers have abused the FOIA against climate scientists working at state universities like Michael Mann of Pennsylvania State University. He wrote the first manual teaching people how to pass a polygraph test, which was initially published in 1979 and, according to him, was one of the very first e-books available on the Internet. The U.S. Department Of Justice issued a press release this week stating that they planted federal agents to pose as customers and entrap Williams in schemes to help the agents cheat on polygraph tests. 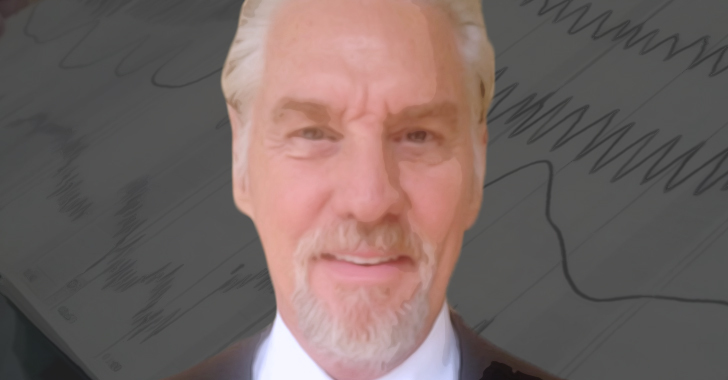 According to admissions made in connection with his plea, Williams owned and operated Polygraph.com, an Internet-based business through which he trained people how to conceal misconduct and other disqualifying information when submitting to polygraph examinations in connection with federal employment suitability assessments, background investigations, internal agency investigations and other proceedings. In particular, Williams admitted that he trained an individual posing as a federal law enforcement officer to lie and conceal involvement in criminal activity from an internal agency investigation. Williams also admitted to training a second individual, posing as an applicant seeking federal employment, to lie and conceal crimes in a pre-employment polygraph examination. Williams also admitted to instructing the individuals to deny receiving his polygraph training. I am back from my hiatus. I really was not sure if I would be back at all. Yet here I am with an oldie but definitely a goody. This video was posted in 2012 with test results and scientific findings that should have made the difference in the termination of GMO in the marketplace. Or at least a moratorium on its widespread release. Not to mention the cross contamination with non-gmo crops out in the fields. This is clear and concise proof that we have been sold out . Not to mention being used as guinea pigs in this race to fill Monsanto’s bank accounts . Along with other companies like it and their benefactors the FDA and The USDA. Sooooooo, if you were still living in that fantasy land that believes the government is there to protect you, then please wake up and smell the rotting corpse of what used to be a public service oriented office. For it is now and has been for quite a while an office of corporate, personal, political and governmental gain at the expense of the people. It is our children and all the children who will come after who are and will be the by product of this exercise in greed and callous disregard for human life. Lectins (Pusztai is recognized as a world leading expert on Lectins). his conclusions. They found that Pusztai had not mixed up any results. and Dr Pusztai’s website, where he explains this in detail. suppress the truth and to “kill” the messenger. A conscientious father in Nevada received shocking news when he requested to see the permanent records of his four children from state education officials: His request would cost $10,194. John Eppolito, the father, was concerned about a recent decision in Nevada to join a multi-state consortium that would share student data. Eppolito was interested in accessing his children’s records in order to learn what information had been compiled on his children. It was then that he learned that he would have to pay significant fees as well as special programming costs to run a report of that kind. The total, Eppolito was told, would come to $10,194. Eppolito was not satisfied with the response. “This data is for everyone except the parents. It’s wrong,” he asserts. The federal Family Educational Rights and Privacy Act (FERPA) allows parents to view their children’s records and permits small fees to be issued in order to access those records. Ironically, under the act, the fees are not supposed to be so substantial that they ultimately prevent parents from obtaining them. The state, by requiring the fee of over $10,000, appears to be acting in violation of FERPA. Safe and Accurate Food Labeling Act : A proposed new federal law would outlaw state-enacted GMO labeling laws. (NaturalNews) A proposed new federal law just introduced by Rep. G.K. Butterfield (a Democrat) and Rep. Mike Pompeo (a Republican) would outlaw state-enacted GMO labeling laws. The new law, ridiculously called the Safe and Accurate Food Labeling Act, is actually an last-ditch, desperate effort by the biotech industry and the GMA to forever bury the truth about GMOs so that consumers don’t know they’re eating poison. Because the FDA and USDA have already decided, against all scientific evidence, that GMOs are “safe” and “not materially different” from other foods, this requirement is nothing but sheer sleight of hand and a pandering to idiocy. In truth, this new bill, if passed into law, would allow food companies to permanently and insidiously hide GMOs in all their products forever, nullifying the numerous state-based GMO labeling laws which are on the verge of passing. After two states have passed GE labeling bills and more than 30 others are poised to consider similar labeling bills and ballot initiatives, the food and biotech industry have goat-roped some members of Congress into introducing legislation to block state GE labeling laws. GMOs have already been restricted or banned in over 60 countries (2), and Americans are very close to achieving victory in state-based GMO labeling campaigns. 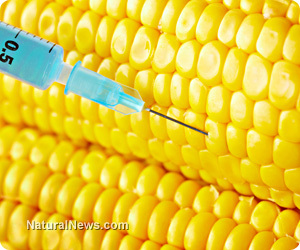 The very idea that American consumers might find out they’ve been eating GMO poisons in most of their favorite foods is so horrifying to the biotech industry (and the processed food front groups) that its enforcers are now seeking this “nuclear option” to legally deceive consumers about GMOs with the complicity of the FDA. 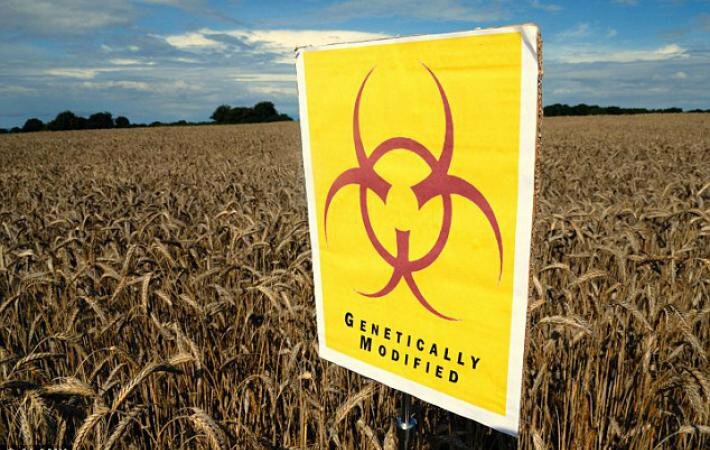 The bill, dubbed the “Safe and Accurate Food Labeling Act” was drafted by U.S. Rep. Mike Pompeo from Kansas, and is aimed at overriding bills in roughly two dozen states that would require foods made with genetically engineered crops to be labeled as such. The bill specifically prohibits any mandatory labeling of foods developed using bioengineering. 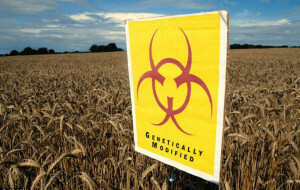 Consumer groups have been arguing for labeling because of questions they have both about the safety for human health and the environmental impacts of genetically modified foods, also called GMOs. Ballot measures in California in 2012 and last year in Washington state narrowly lost after GMO crop developers, including Monsanto Co., and members of the Grocery Manufacturers Association (GMA) poured millions into campaigns to defeat the measures. The companies say the crops are safe and cite many scientific studies back those claims. Pompeo on Wednesday reiterated those claims, stating GMOS are safe and “equally healthy” and no labeling is needed. But there are also many scientific studies showing links to human and animal health problems, and many indicating environmental damage related to GMO crops. 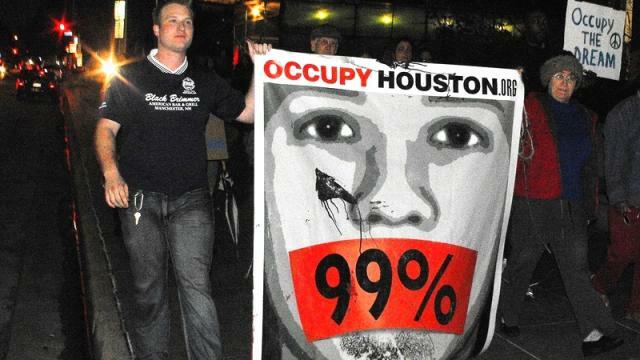 Transparency activist Ryan Shapiro discusses a growing controversy over the FBI’s monitoring of Occupy Houston in 2011. The case centers on what the FBI knew about an alleged assassination plot against Occupy leaders and why it failed to share this information. The plot was first revealed in a heavily redacted document obtained by the Partnership for Civil Justice Fund through a FOIA request. The document mentioned an individual “planned to engage in sniper attacks against protesters in Houston, Texas.” When Shapiro asked for more details, the FBI said it found 17 pages of pertinent records and gave him five of them, with some information redacted. Shapiro sued, alleging the FBI had improperly invoked FOIA exemptions. Transparency activist Ryan Shapiro discusses a growing controversy over the FBI’s monitoring of Occupy Houston in 2011. The case centers on what the FBI knew about an alleged assassination plot against Occupy leaders and why it failed to share this information. The plot was first revealed in a heavily redacted document obtained by the Partnership for Civil Justice Fund through a FOIA request. The document mentioned an individual “planned to engage in sniper attacks against protesters in Houston, Texas.” When Shapiro asked for more details, the FBI said it found 17 pages of pertinent records and gave him five of them, with some information redacted. Shapiro sued, alleging the FBI had improperly invoked FOIA exemptions. Last week, Federal District Judge Rosemary Collyer agreed with Shapiro, ruling the FBI had to explain why it withheld the records. AMY GOODMAN: I want to talk about your work around animal rights activism and getting information, but I want to first turn to Occupy Houston. You have been working on getting information from the FBI around Occupy Houston. The particular issue focuses on what the FBI knew about an alleged assassination plot in 2011 against leaders of Occupy Houston and why it failed to share this information. The plot was first revealed in a heavily redacted document obtained by the Partnership for Civil Justice through a FOIA request. It read, quote, “An identified [REDACTED] as of October planned to engage in sniper attacks against protestors in Houston, Texas if deemed necessary,” unquote. When our guest, Ryan Shapiro, asked for more details, the FBI said it found 17 pages of pertinent records and gave him five of them with some information redacted. So, Ryan Shapiro, you sued, alleging the FBI had improperly invoked FOIA exemptions. Ryan Shapiro, explain what the judge ruled and what “talismanic” means. A federal judge has ordered the FBI to explain why it withheld some information requested by a graduate student for his research on a plot to assassinate Occupy Houston protest leaders. Ryan Noah Shapiro, a doctoral student at Massachusetts Institute of Technology in Cambridge, Mass., filed a lawsuit April 29, 2013, against the U.S. Department of Justice in the U.S. District Court in Washington, D.C.
U.S. District Judge Rosemary M. Collyer issued her order, with an accompanying memo, on March 12. The FBI, as part of the Department of Justice, controls the records Shapiro wanted for his study of “conflicts at the nexus of American national security, law enforcement and political dissent,” the plaintiff’s complaint stated. Houston was among hundreds of U.S. cities where protesters occupied outdoor spaces as part of the Occupy Movement that started in New York’s Zucotti Park on Sept. 17, 2011. “The movement has sought to expose how the wealthiest 1 percent of society promulgates an unfair global economy that harms people and destroys communities worldwide,” the complaint stated. Shapiro said in his complaint that the existence of an assassination plot against Occupy Houston’s leaders became known through the FBI’s earlier release of information in response to a Freedom of Information Act request. “According to one of the released records, … [REDACTED] planned to gather intelligence against the leaders of the protest groups and obtain photographs, then formulate a plan to kill the leadership via suppressed sniper rifles…,” Shapiro stated in his complaint. Shapiro requested additional information from the FBI in January 2013. “There is presently a vigorous and extraordinarily important debate in the United States about the authority of the government to conduct extrajudicial killings on American soil,” the complaint stated.